No 6 Sea Road, Clarinbridge. The Connacht Property Auction will hold its first public auction of 2019 on Thursday February 21 in The Menlo Park Hotel, Galway. The auction will offer properties from across the province including residential homes, commercial properties, investment assets, and agricultural holdings. Last year the company's auction events averaged a success rate of over 90 per cent sold, which was one of the highest success rates in Ireland, and the auction team are confident that success will continue throughout 2019. The Connacht Property Auction does not charge any upfront costs into the auction and takes on board all marketing and entry fees – so the property owner has no costs unless the property is successfully sold. Offered at bids over €295,000 in partnership with Matt O'Sullivan auctioneers. This fine five bed house with detached garage is ideally situated on an elevated site with exceptional sea views. There is a large kitchen/dining room that also makes the most of the sea views, with double doors leading to the rear garden. The property is in excellent decorative order throughout and viewing is highly recommended. 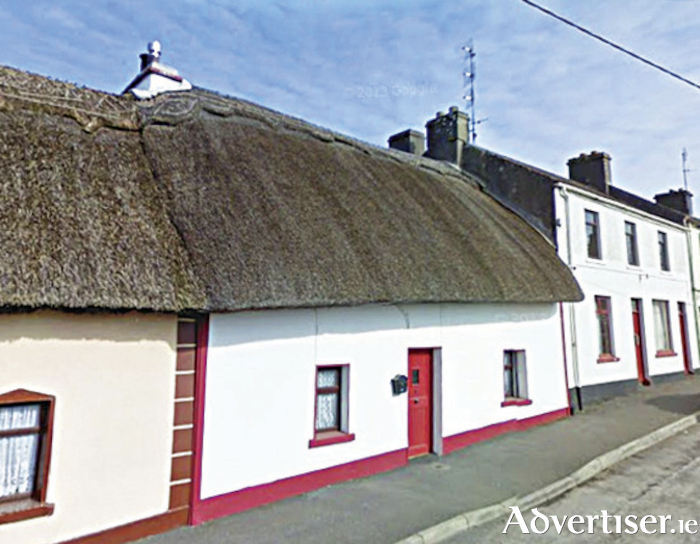 Offered at bids over €170,000 in partnership with RE/MAX Galway. A fine three bed terraced cottage ideally located just off Main Street in Clarinbridge. This thatched cottage has been beautifully upgraded for modern living. The property is ideally located near Galway city as well as commuting routes and tourist attractions such as The Burren, the Cliffs of Moher, and Connemara. Externally there is a wonderful private patio with block built shed and manicured flower beds. This would be an excellent opportunity for anyone looking for an owner occupier residence or as an investment property ideal for both long term and short term lettings. Offered at bids over €150,000 in partnership with Keary auctioneers. Recently renovated two bed, two storey, farmhouse on c64 acres of land. The property, which is in excellent condition, is located just 3km from Ahascragh village and is within commuting distance of Galway city and Athlone. The next public auction will take place on Thursday, February 21, in The Menlo Park Hotel, Galway. Registration starts at 6.30pm. Contact The Connacht Property Auction on 091 882 121 to arrange for a free property valuation, or for more information visit www.connach tpropertyauction.ie.